Visit website for more information. Alabama State Data Center Conference! 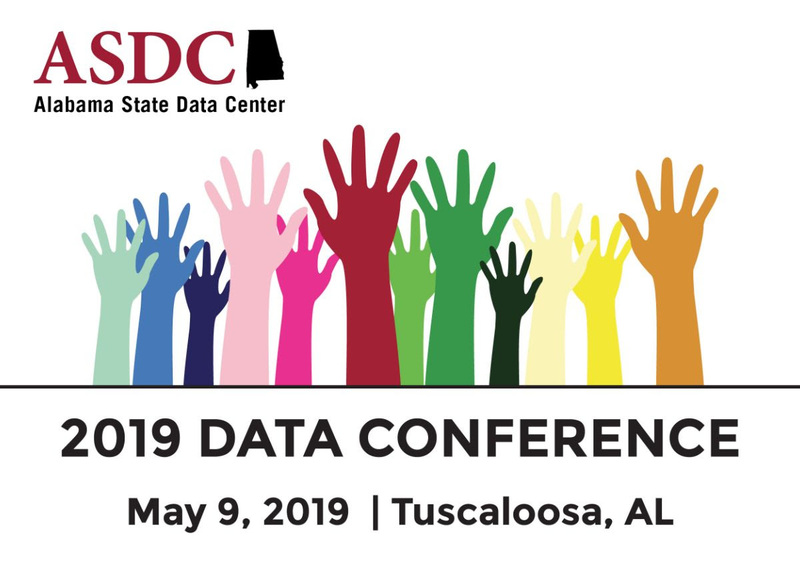 The Center for Business and Economic Research will be hosting its annual ASDC Data Conference Thursday, May 9. Speakers from the U.S. Census Bureau will present on a variety of topics relevant to Alabama's local governments and businesses alike. The conference is a great opportunity to learn about the latest at the Census Bureau, brush up on your data skills, and network with other professionals. We hope you'll join us! 9:00 a.m. - 3:30 p.m.
the Census is using to make data more accessible than ever. The Alabama State Data Center is a partnership between the U.S. Census Bureau and the state of Alabama. It is housed at the Center for Business and Economic Research at the University of Alabama. ESRI will be holding an ArcGIS User Group Meeting on Tuesday, May 14 from 8:30-noon at the Regions Center Auditorium. It's at 1900 5th Ave. N. in Birmingham. Will Meyers and Keith Cooke will go over some of the changes in the ArcGIS platform, including some of the newer products coming out. It will be a great opportunity to learn and network. There's no charge. Special thanks in advance to Grant Mullins at Regions Bank for accommodating us! Registration is free. Please click the registration link below and let ESRI know you're coming. GIS-Pro 2019 will take place September 28-October 2, 2019 in New Orleans, Louisiana. Registration should open in March 2019. Please monitor the conference website for more information.